Avendus advises Gaana on USD 115 million fund raise led by Tencent. Chinese technology giant Tencent is leading a USD115-million financing in music streaming service Gaana. Times Internet, Gaana's parent, will also make further investments in the service. Gaana, which has more than 60 million monthly active users and competes with Saavn, Apple Music and Amazon Prime Music, among others, will use the funds on technology developments, particularly focussing on artificial intelligence (AI) to personalise music experiences for consumers. The company was incubated seven years ago by Times Internet, a part of the media group that publishes Times of India & ET. “Music streaming is the future of music consumption globally, and in India, we are only 10% of the way towards building a business useful for 500 million Indians,” said Prashan Agarwal, CEO, Gaana. 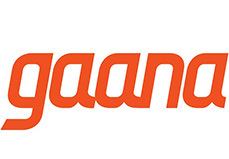 Gaana aims to cross 200 million active users in three years. The company has invested in products such as Gaana Social, which recommends songs based on what friends and family are listening. It has also introduced Gaana Originals, one of the biggest platforms in the country for launching non-film music with more than 100 million playouts. Gaana will use this capital to invest in artificial intelligence to help personalise user experience and develop its subscription service. Gaana draws a bulk of listeners through free music service and generates advertising revenues, whereas newer entrants like Apple Music and Google Music charge a subscription fee. "With data prices so low, having easy access to crores of songs which are editorially curated and personally recommended is a better experience than piracy, where quality is unpredictable and selection is limited," said Prashan Agarwal. "We have penetrated only 5-6% of India. Over the next few years, we want to take this to 20-30%," he said. Martin Lau, President of Tencent Holdings, said, "As more affordable mobile data plans are driving smartphone penetration in India, we believe growth in the music streaming market will accelerate. By investing in and collaborating with Gaana, we look forward to bringing more innovation and better experiences to all Indian music lovers." One of the world's largest tech companies, Tencent Holdings owns Tencent Music, which is preparing for a $10-billion IPO in Hong Kong. It also owns JOOX, a leading streaming service in southeast Asia and has a minority stake in Spotify, the Sweden-based streaming service. Last year, Tencent bet big on India by investing in Flipkart and Ola. "Gaana has demonstrated exponential growth over the years. We are happy to welcome Tencent as a partner in Gaana and benefit from their global learnings," said Gautam Sinha, CEO, Times Internet. “We believe Gaana is and will continue to be the dominant leader in Indian music streaming market. Their demonstrated ability in content curation, best in class product and a fully owned tech stack along with Times’ strong parentage and partnership with Tencent will help them continue defining this space," said Pankaj Naik, Director at Avendus Capital. The Avendus Group (Avendus) is a leading provider of financial services with an emphasis on customized solutions in the areas of Investment Banking, Wealth Management, Structured Credit Solutions and Alternative Assets Management. Avendus relies on its extensive experience, in-depth domain understanding and knowledge of the regulatory environment, to offer customized solutions that enable clients to meet their strategic aspirations. Avendus Capital has consistently been ranked among the leading financial advisors by overall number of deals. It has a strong track record of cross-border transactions and has helped multiple clients benefit from opportunities across geographies.